Sustainable Brands is a global community of sustainability leaders which brings together many of the world’s largest brand innovators such as Unilever, Philips, Marks and Spencer, Sky, BASF, HP and Philips. The network was launched in 2006 by KoAnn Vikoren Skrzyniarz, and now has 348,000 sustainable business leaders from around the globe. The first Sustainable Brands live event was held in San Diego, and these have now expanded to London, Istanbul, Rio de Janeiro and Buenos Aires, with next year also featuring events at Barcelona and Kuala Lumpur. These events bring together thought leaders and global sustainability and brand professionals, not only from the world’s largest brands, but from smaller leading edge businesses such as Lyf Shoes, Desso, Interface and Vetiver Farms, in order to discuss how to implement ideas that contribute to the collective health of individuals, organisations, economies, and of course the planet. 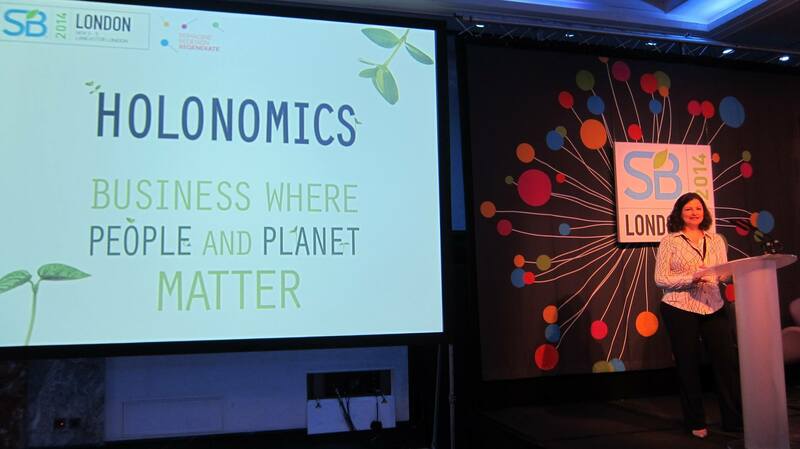 This year Maria and I were invited to Sustainable Brands London, which took place this November, where we facilitated both a morning workshop and also the opening plenary presentation which introduced our experiences and insights from our work relating to our book Holonomics: Business Where People and Planet Matter. Maria was also a guest of HP who were launching Living Progress, their vision for developing sustainable solutions to improve health, well-being and working conditions. The foundation of Holonomics is inspired by the the philosophy of wholeness of Holistic Science and particularly the phenomenology and hermeneutics of Henri Bortoft who taught at the college for many years. When describing Holonomics to people, we always explain that it is not a new methodology, framework or toolkit, but an expansion of consciousness which helps people to truly understand a system and which develops within us a new way of seeing. In deciding how to structure our workshop therefore, we decided to focus on the experiential aspects of Holonomics, helping people to explore the four ways of knowing: thinking, feeling, sensing and intuition. 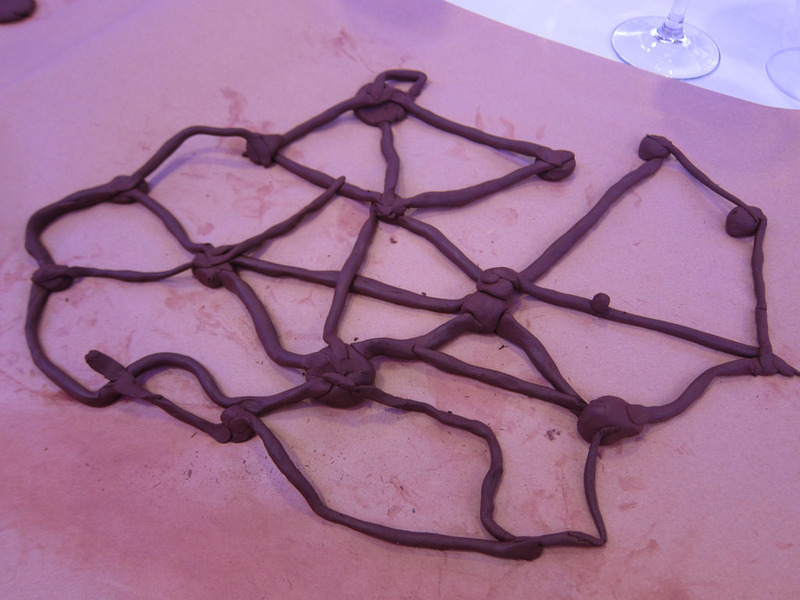 And so in the first half of our workshop we blindfolded people and gave them lumps of clay. We asked a simple instruction: with your hands create something which represents your relationship with nature and your understanding of sustainability. People did this exercise without speaking, but instead of silence we filled the room with the sounds of babbling water and birdsong recorded in an English woodland. 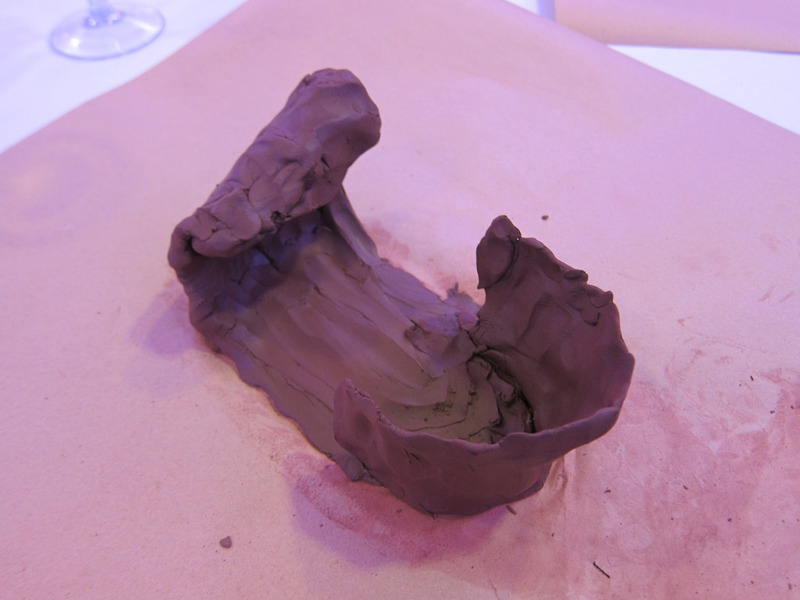 After a few tentative minutes of playing with the clay, some extremely interesting sculptures began to emerge. People were given around twenty minutes, and then we went around the room allowing people not only to explain what they had created, but also to discuss what it was like to do this rather unusual exercise. The deeply sensory experience of working with clay in our hands takes us out of our normal thinking and “business” mode of consciousness, and into a very expansive and creative realm. The exercise can be extremely emotional and powerful for those taking part. It inspires people both to discover and then share their stories, and so it can be used to discover new insights about our brands as well. In the second part of our workshop, which focused on more practical case studies, we also showed people a short video of the murmuration of starlings. In this exercise, we ask people to watch the balletic flight of the birds and to make a note of the words and phrases which come to mind. We have done this exercise many times, and participants will mention words such as harmony, trust, flow, lack of leadership, synchrony, dance and freedom. When we ask who in the audience works for an organisation with all of these qualities, inevitably very few people say that they do. Your thoughts, speech and actions must all be in alignment, and so you really have to be committed to the truth. At present there is still a large gap between the development of a business strategy, and the implementation and execution of the strategy, and companies are struggling to fully engage the whole organisation. Organisations can only fully engage their whole workforce if they have a truly authentic purpose and if they have the humility to recognise the value of the contributions of each and every person. As Maria said in her answer to a question from Jo Confino, executive editor of The Guardian and one of the event’s hosts, we too have to be humble, and recognise that the reality of business leaders may be one where they have never thought about sustainability. In addition, leadership is in crisis because things are no longer happening as they used to, and so many really are looking for a new model or new way of seeing. It is important when speaking with business leaders to take the care to use a language that they can understand, and to introduce the five human values in a way which is meaningful for them as individuals. 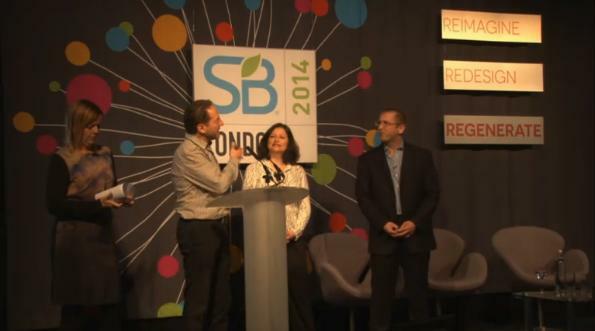 The only way to create sustainable brands is to first create sustainable (integrated) people. Then the people can create the brand.